Winning the 10th season of America’s Got Talent in 2015, British comedian, and ventriloquist Paul Zerdin has eventually established himself as a big name in the entertainment industry. In these couple of years, he has not only grown up as a person but has also become a sensation with questions regarding his net worth, marriage, and love affairs being the most frequent search on the web. Considering his fame, the curiosity is pretty obvious. Well, having said that, the very reason we are here is to answer all your major question regarding him. So, is he married? What is his net worth in 2018? Want the answers? Be with us. 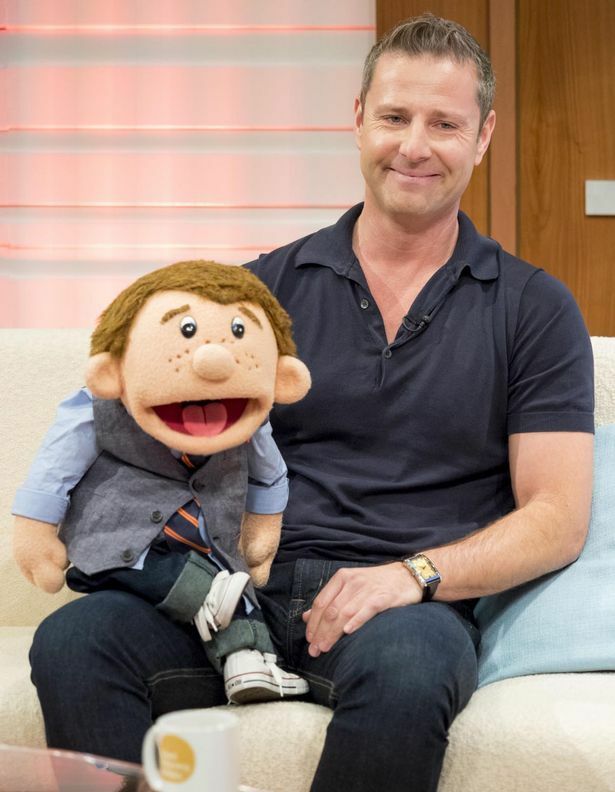 Paul Zerdin is a British comedian and ventriloquist. He is also the winner of the 10th season of America’s Got Talent. Besides, he is also an actor and is known for his role in moves like “The Convention Crasher” (2007), “The World Stands Up” (2004) and “The Royal Variety Performance” (2009). He was born in 1972 in London to British parents. His mother worked as a presenter Radio 2, and his father was a BBC World Service Provider. He was interested in the field right from early age. And by the age of 10, he started attending Puppet Theater. Likewise, he also started performing on stage on several occasions. Well, now, he has already created a history and paved a way to success. Want to know more about him? Continue reading. Paul’s career as a ventriloquist didn’t erupt all of a sudden. In fact, it was what destiny had for him. As we already said, although unknown to the word Ventriloquism, he was interested in it from an early day. And his parents, who had the influence of entertainment industry in their life, eventually made him a puppet theater. Thereby he sharpened his skills with the puppet. However, it was not that he instantly started performing it on stages. Rather, his life took a different turn as he failed in his GCSEs. But as it is said, everything happens for a reason. Having failed in the exam, Paul joined a job in a magic shop where he developed his magic skills growing into a child entertainer. Well, his magic skills led his way to TV and he made his TV debut as a magician on the BBC’s Tricky Business. By the age of 20, Paul signed a two-year contract for Disney produced kids’ programme Rise and Shine for GMTV. Likewise, in 1996, he became the first outright winner – by over 100,000 votes – of LWT’s The Big Big Talent Show. Jonathan Ross was the host on the show. His appearance on the show further paved his way onto several other shows like Tonight at the London Palladium, and Generation Game. Likewise, in 1997, he was seen in the Prince’s Trust Gala Show. However, his most powerful stage performance is considered on America’s Got Talent. Following his popularity on varieties of shows, in 2015, Paul auditioned for America’s Got Talent. Well, his skills as a comedian and ventriloquist opened his door there as well. His performance with his loyal puppet Sam and his light-hearted comedy won well the hearts of viewers along with the judge of the show. In the finals, he was announced as the winner of the season winning $1 million prize money and a headline residency show at Planet Hollywood in Las Vegas. Along with his puppet Sam, Paul’s performances also features his pensioner puppet called Albert and the other character Baby. Showcasing talent at the right time and place not only earns us fame but also a huge fortune. The case is same with the talented Paul. Out of his career, he has amassed a good sum of net worth. Like we mentioned earlier, he won $ 1 million as a prize money for winning the talent show. Well, that is definitely a part of his net worth. Likewise, her work as an actor in movies like The Convention Crasher” (2007), “The World Stands Up” (2004) and “The Royal Variety Performance” (2009) much has also been a good pay for him. However, the exact salary has not been mentioned so far. Similarly, his frequent tours (his recent UK tour was All Mouth) and stage performance is also the other source that enhances his net worth. But it seems the comedian is tight-lipped about his financial stature and barely talks about his worth. But as per the estimation made by various sources, his net worth is concluded to be around $1.5 Million. Well, that seems unlikely for such a famous personality. Paul Zerdin Girlfriends And Affairs: Is He Married? Not to mention, but these are all the most interesting questions about a celebrity for their fans. Same is the case with Paul. Questions regarding his love affairs, relationships, and marriage have been the most anticipated one. But to our disappointment, his love life is the least addressed topics by him. No one except him knows how many girlfriends he has dated in the past or if he has been ever married, but we are pretty sure about one of them. After he won America’s Got Talent, it was his girlfriend who greeted him at the London Heathrow airport. With @robynmellor90 @youngfrankensteinldn @MHARRISON_ENT Bloody great show! Well, his girlfriend is Robin Mellor, who is also sometimes seen as his assistant on the show.